Sgt. 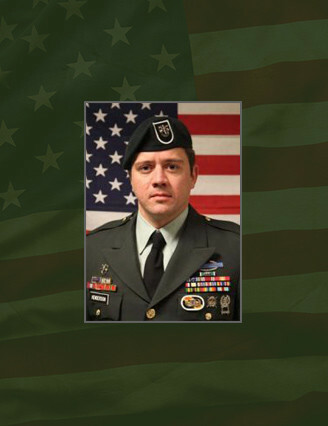 1st Class Aaron A. Henderson, 33, of Houlton, Maine, died Oct. 2 of wounds sustained from an improvised explosive device attack on Sept. 30, in Helmand Province, Afghanistan. He was assigned to Company A, 2nd Battalion, 5th Special Forces Group (Airborne), Fort Campbell, Ky., and was deployed in support of Operation Enduring Freedom. Henderson enlisted as an administrative specialist in the U.S. Army in 2000. Upon completion of his initial training, he was assigned to Headquarters and Headquarters Company, 24th Transportation Battalion at Fort Eustis, Va. His next assignment was with U.S. Army Garrison – Japan, Camp Zama, Japan, where he served as the Officer Management Branch NCOIC. Henderson volunteered for the Special Forces Assessment and Selection Course and graduated from the Special Forces Qualification Course in 2006. Upon earning his Special Forces Tab, he initially reported to HHC, 5th SFG (A) as the communications chief. He was then assigned to 2nd Bn., 5th SFG (A) as a Special Forces senior communications sergeant. He served on three deployments to Iraq and one to Afghanistan with 2nd Bn. His military education includes: Special Operations Command Jumpmaster Course, Senior Leader Course, U.S. Army Combatives Course Level 1, Advanced Special Operations Techniques Course, Combat Diver Qualification Course, U.S. Army Ranger School, Survival Evasion Resistance and Escape Course, Special Forces Qualification Course, Advanced Leaders Course, U.S. Army Airborne School, Combat Life Savers Course, and Warrior Leader Course. Henderson’s military awards and decorations include the Bronze Star Medal, Purple Heart, Meritorious Service Medal, four Army Commendation Medals, five Army Achievement Medals, Iraqi Campaign Medal with four campaign stars, the Noncommissioned Officer Professional Development Ribbon with a three device, Overseas Service Ribbon with a two device, NATO Medal, and Driver and Mechanic Badge (Wheeled). Henderson is survived by his mother and his brother.